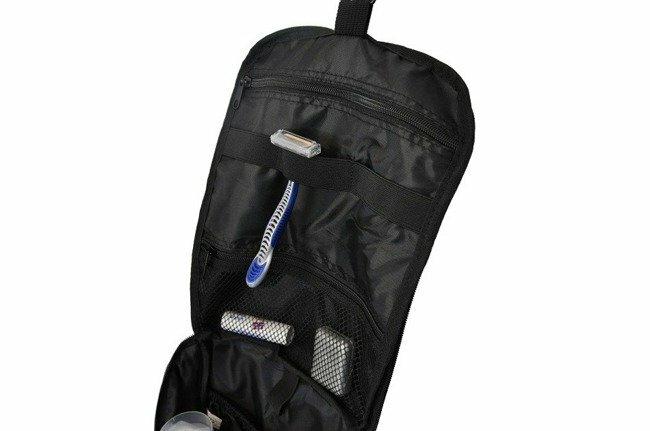 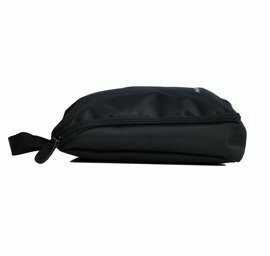 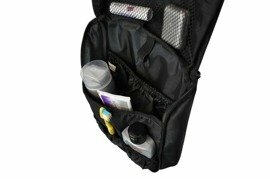 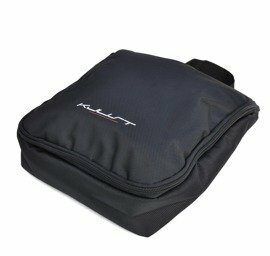 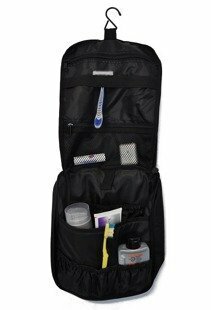 Cosmetics bag with various compartments and a mesh. 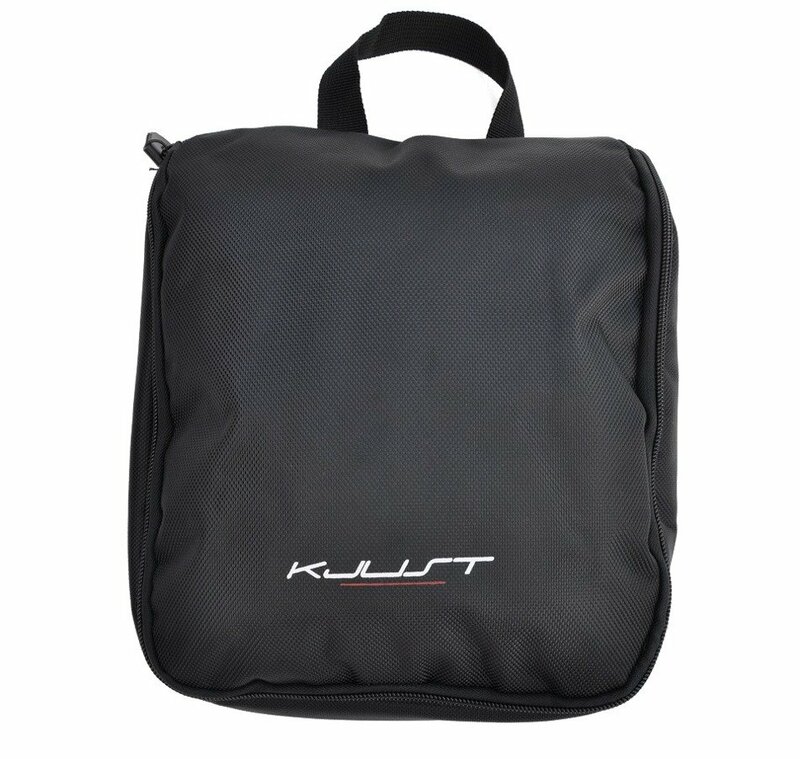 Made of polyester 1680D (Cordura features), closed with a zipper. Equipped with a hook for easy hang in the bathroom.